Home Health Can I drink coffee while pregnant? The coffee drinks are so tempting for anyone who has ever felt the benefits. Yes, this is one drink that can restore vigor and eliminate sleepiness. It seems not a problem if you drink every day, but when you are pregnant may I drink coffee? 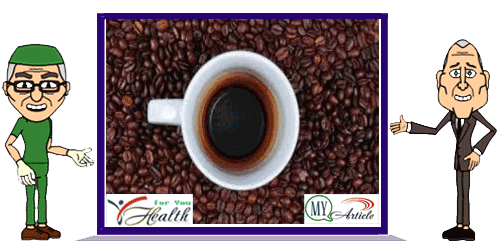 As we all know that coffee is one source of caffeine drinks, and effects caffeine this is what we have learned so that we can conclude pregnant women may I drink coffee. Pregnant women should limit the amount of caffeine consumed so that no more than 200 mg per day or the equivalent of two cups of instant coffee. Why caffeine is limited, what is the effect of caffeine on pregnant women? Research in 2008 found that pregnant women who consumed 200 mg or more of caffeine per day have twice the risk of miscarriage than those who took caffeine under 200 mg per day. A study in Denmark found that the risk of stillbirth more than doubled in women who drank eight or more cups of coffee a day compared to women who did not drink coffee. Other studies have shown that newborns whose mothers consumed more than 500 mg of caffeine a day had a much faster heart rate and breathing rate that is faster and low birth weight. Thus, high levels of caffeine during pregnancy may result in babies having a low birth weight, which can increase the risk of health problems later in life. Too much caffeine can also cause miscarriage. Through the above description we can conclude that it does not matter if pregnant women drink coffee, but not more than 200 mg of caffeine per day, equivalent to two cups of instant coffee per day. One thing is certain: Pregnant women will be better and safer not to consume coffee as a routine. Because in addition to affecting the fetus, the caffeine in coffee raises also can make you feel jittery and cause insomnia. Caffeine can also contribute to heartburn by stimulating the secretion of gastric acid, it is not good for people with stomach ulcers. Caffeine effect may be more pronounced in line with continued pregnant age. That's because the body's ability to break down caffeine slows down, so will the higher levels of caffeine in the bloodstream. During the second trimester, it takes almost twice as long to clear caffeine from the body than when the woman is not pregnant. During the third trimester, it takes almost three times longer. Besides coffee and tea contain compounds called phenols that make it harder for the body to absorb iron. This is very important because many pregnant women are indeed in general is in need of iron. If pregnant women still want to drink coffee or tea, then drink between meals (not right after a meal) so it will have less effect on iron absorption. In addition to coffee, food and drink anything containing caffeine? Perhaps many are thinking, if pregnant women should not drink coffee, then tea alone as his successor. This is not true because the tea also contains kafien.